A landslide management system is an essential key to reducing losses due to landslides by generating early warning for people living in potential landslide areas. In order to achieve an underlying system, sensors such as rain gauges, moisture sensors, piezometers, tiltmeters, geophones, and strain gauges can be installed in the potential landslide areas in order to collect the essential information needed to perform data analysis for landslide monitoring and prediction. 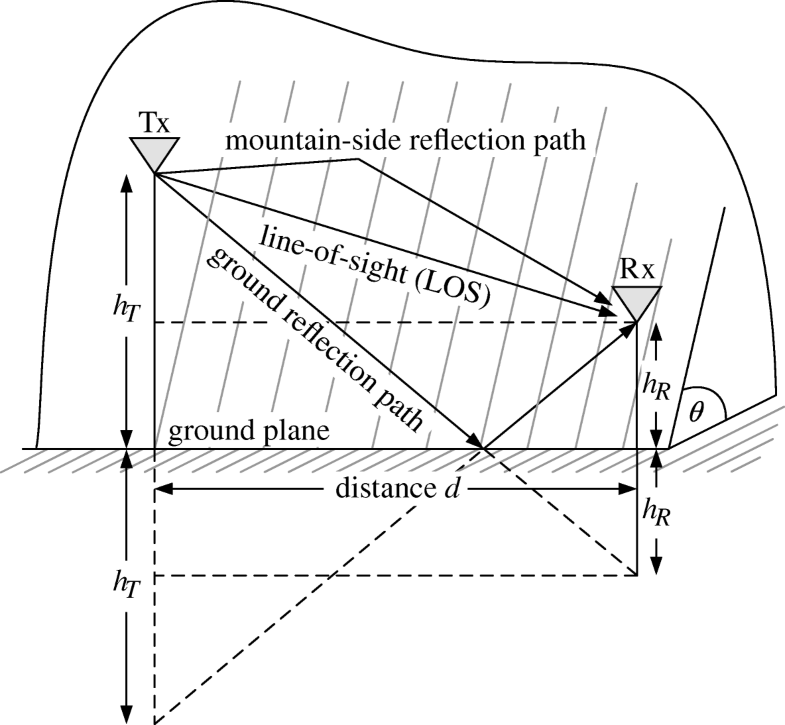 Some examples of the use of sensors to monitor and/or predict landslides can be seen in [1, 3–6]. Besides sensor technologies, a communication network is also required for sending the information collected by sensors. Wireless sensor networks have received considerable interest in the research area of landslide monitoring and prediction, as seen in examples [1, 5–7]. 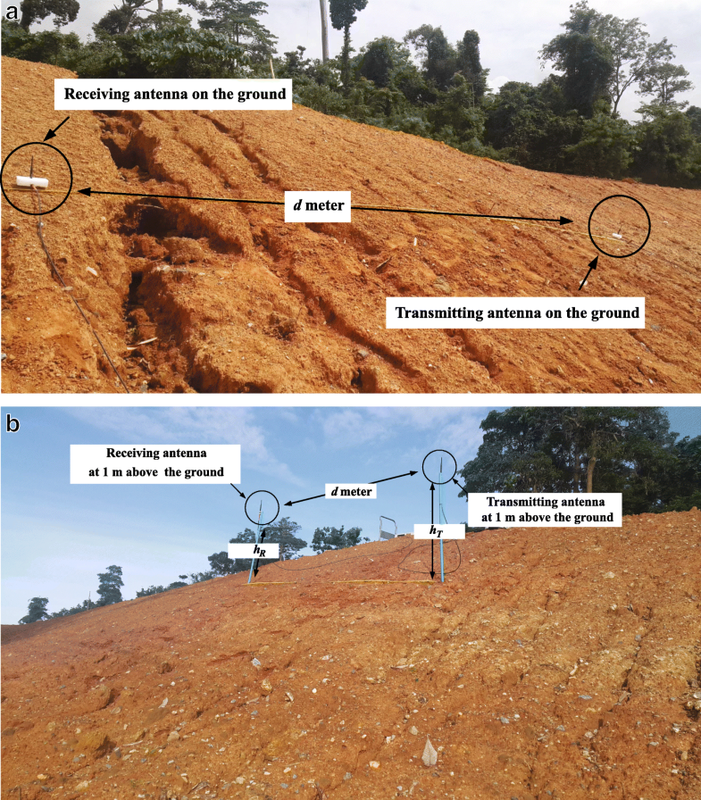 Another example was proposed to use a wireless sensor network in order to collect ambient data for general applications including landslide monitoring and prediction . The performance of IEEE 802.15.4 commonly known as Zigbee, leading technology of short-range wireless sensor networks, was measured to verify that it can be used for a wide variety of applications . In , the wireless sensor network was developed and then installed on the landslide area in Italy in order to monitor and manage the risks of landslides. 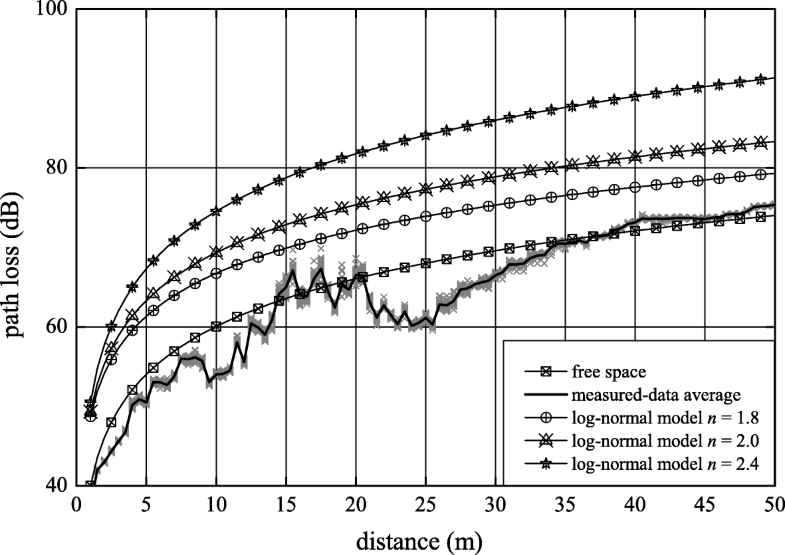 Several parameters collected by sensors equipped with the coordinator of the wireless sensor network were employed to assess the possible risks and to provide useful information for an early warning system. Furthermore, an open-source wireless sensor system, called SMARTCONE, was designed and implemented for detection of the occurrence of the slope movement and debris flow of the hillside . The performance of the proposed system was elevated via experimentation. 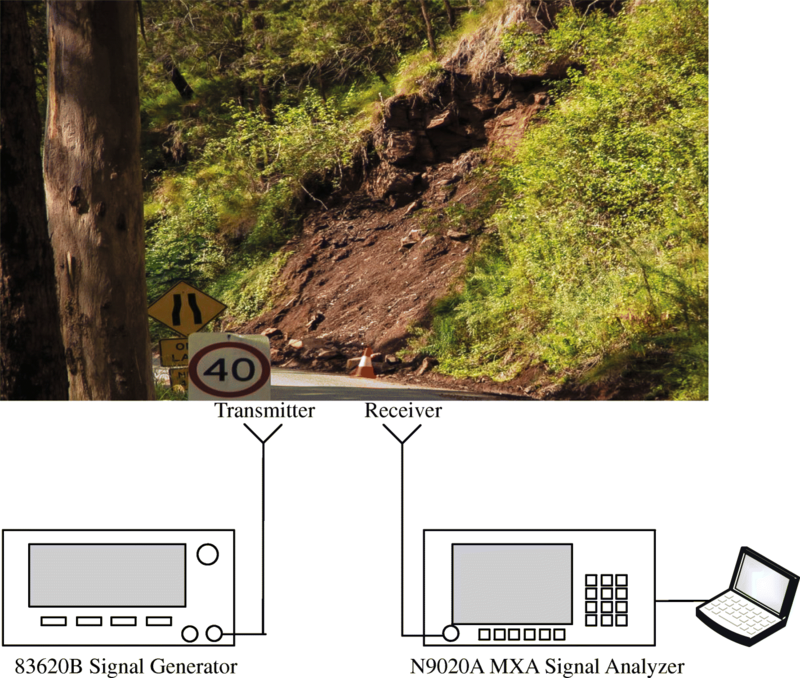 From the literature review, another interest is that the deployment of a wireless sensor network inside a potential landslide area requires knowledge of the node distance relevant to the path loss in order to provide full connectivity. 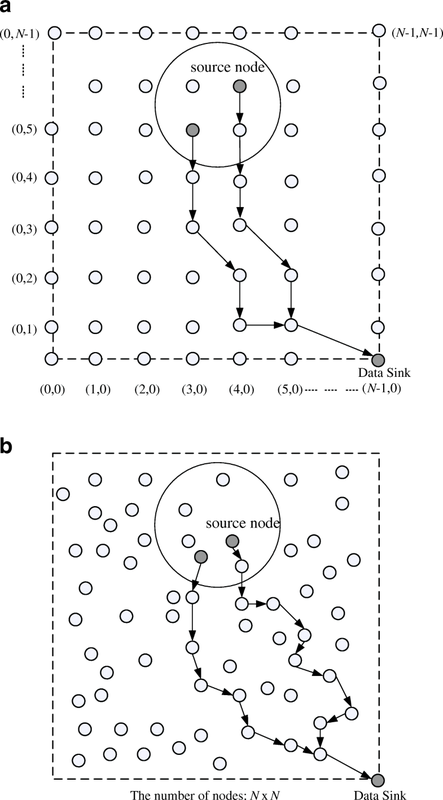 An appropriate propagation model employed to predict such a path loss and the received-signal coverage is therefore essential for network planning. Extensive research has been conducted on propagation models, including theoretical and empirical models of wireless sensor networks. Some empirical models have been proposed in order to determine the path loss for a wide range of operating frequencies [12–18]. 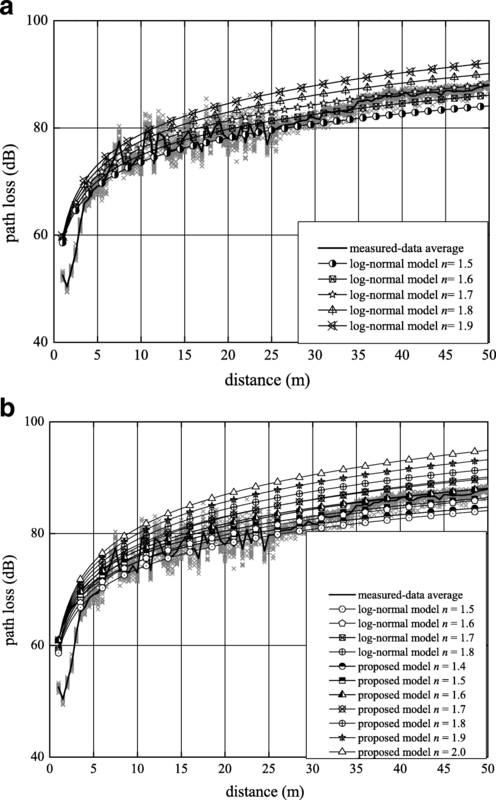 Although these proposed models are simple, there is no parameter that controls the relationship between the models and the forest environments. 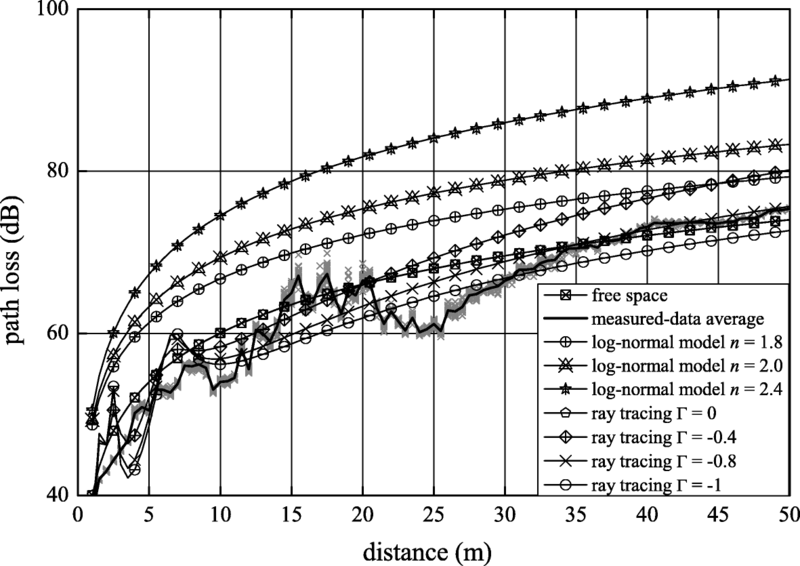 In , a half-space model for dealing with wave propagation at the frequency of 1–100 MHz in forest areas was proposed. In this approach, the associated phenomenon dominated by a lateral wave mode of propagation was also discussed. 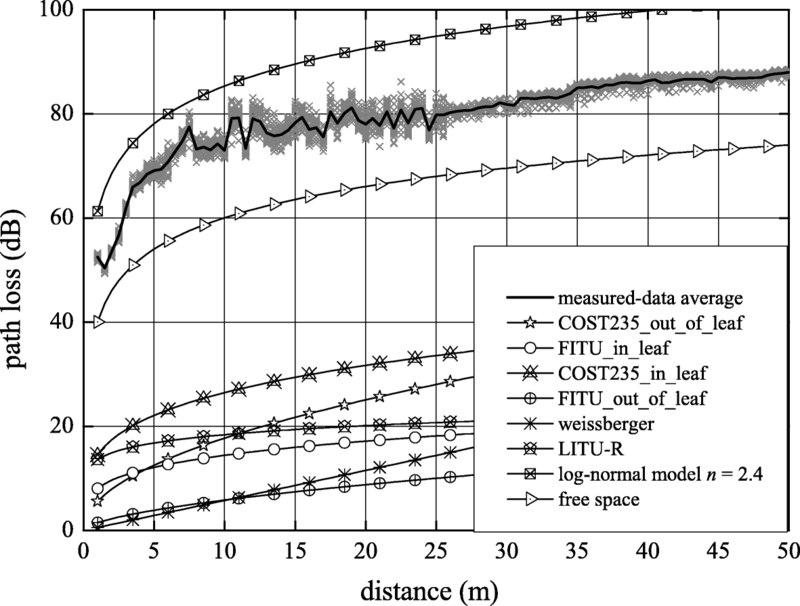 Subsequently, this approach was extended to the dissipative dielectric slab model in order to take the ground effect into account for the wave propagation at the frequency of 2–200 MHz in the forest environment . Recently, near-ground wave propagation was examined in a tropical plantation as seen in the example , where the experiment was conducted at very high frequency (VHF) and ultra-high frequency (UHF) bands. In this approach, the ITU-R model was slightly modified by taking the lateral wave effect into account. Moreover, the ITU-R model was further improved with considering the effect of the rain attenuation that was measured in Malaysia .